Subtle ammonia smell, and wacky worm behavior. I've had some (1lb.) Eisenia hortensis in plastic bins (18gal. Sterilite totes) for just 2 days. I made the bedding with coco coir and some prepared scraps, and some eggshells approx. a week before adding the worms. The first day seemed to go well. Of course, being my first experience, I checked in quite a bit. I started noticing bits of coco on the insides like it had splashed there, but I didn't really think about it. Later on the 2nd night, I noticed about 4 had left the system completely, there were a couple in the leachate bin, and maybe a dozen or so at the lid of the bin. There was a faint odor of ammonia, so I immediately assumed it had something to do with the food. Being late, I quickly prepared more moist bedding (this time mixing it about 50% w/peatmoss) in another bin and placed it on top of the other to give the worms a place to go. I spent the morning going through the bins and gathering up the worms. While I was doing this, I found that while there were many worms that tried to escape in what appeared to be random directions, I think the majority actually were relatively happy and feeding! They seem to have a fondness for potato peel, even. This puzzles me a little. Why were some driven away while others stayed? I also couldn't find whatever was making the ammonia smell, Maybe the eggshells weren't washed well enough? What could cause the ammonia smell? and Do you know why some of my worms wanted to run, while others seemed happy? Comments for Subtle ammonia smell, and wacky worm behavior. Thanks for your questions. You've given me a lot to go off of. I have a short answer for you. Keep doing what you're doing. This is perfectly normal for worms to move around and others to stay put eating their favorite foods. 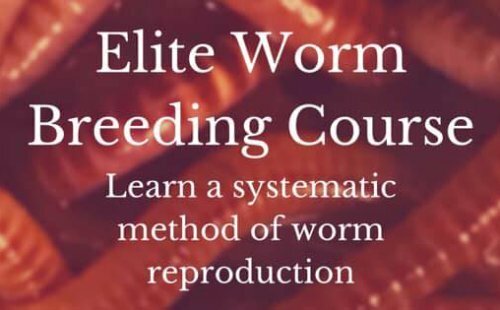 Worms tend to be a little migratory. It's a mystery at how some seem to leave their nest when they have everything they need at their disposal. My guess is that's just what's programmed into them since they are found everywhere throughout the world in every land and every soil. It's argued that worms play the most single important role in turning dead material into something useful for plants. You will always get some worms that'll wander off but make it back again. Don't feed them more than they can handle. Too much feeding will put off a fowl smell and too wet will also. No more than a couple of handfuls for 1 lb of worms until they get adjusted to their new food and living quarters. Take some food out if you need to but leave them all in the same bin and cover up the food by at least 2 inches of bedding. If your compost is giving off the ammonia smell, it means that you have an imbalance of ingredients, with TOO MUCH NITROGEN, and ammonia formation is how the set-up gets rid of excess nitrogen, releasing it into the air. That may be the reason why some of the worms were unhappy enough to want to run away from home. every morning the sidewalk if full of smelly worms, they smell like amonia, can you tell me why and are they ok to feed to our chickens? After a rainfall there's usually a fishy smell which could possibly be from anaerobic bacteria. Worms begin to die from lack of oxygen due to their burrows being flooded. If the worms are dieing and you want to throw them to the chickens then I would think it'd be okay. Usually the chickens can decide, quite well, if something is okay or not okay to eat. If the worm looks rotten then I would take caution.